Some of you might not know it’s very much possible to share your 9Mobile (former Etisalat) data bundle subscription with many other 9mobile users. 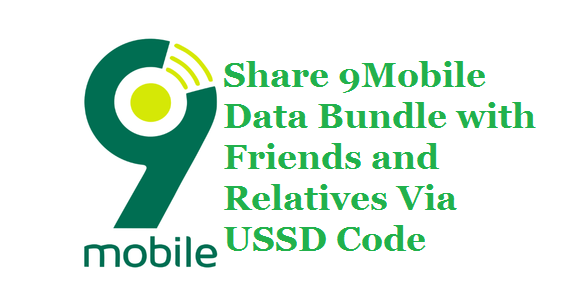 So in this post, i will be showing you how you can share 9Mobile data subscription with your friends and family through USSD Codes. The guide below will show you everything you need to know on how to share data bundle with another person for 9Mobile. You can only share your 9mobile data bundle with other 9mobile users only. Dial *229*PIN*Volume of MB*9mobile Number#. Share and drop comment below.